Discover Kuala Lumpur in three days with our comprehensive mini guide to the city’s multitude of cultural landmarks, expansive shopping malls, lively night markets, unique temples, and vibrant nightlife. As you'll have ample time to cover most of Kuala Lumpur, we highly recommend spending a night at one of Malaysia's hill resorts, where you can enjoy the seclusion and privacy of quaint Tudor cottages, unique Japanese teahouses and charming flower gardens. As exploring the entirety of Kuala Lumpur can be an overwhelming task for first-time visitors, we’ve compiled a comprehensive list of what to do and see in KL in 72 hours. 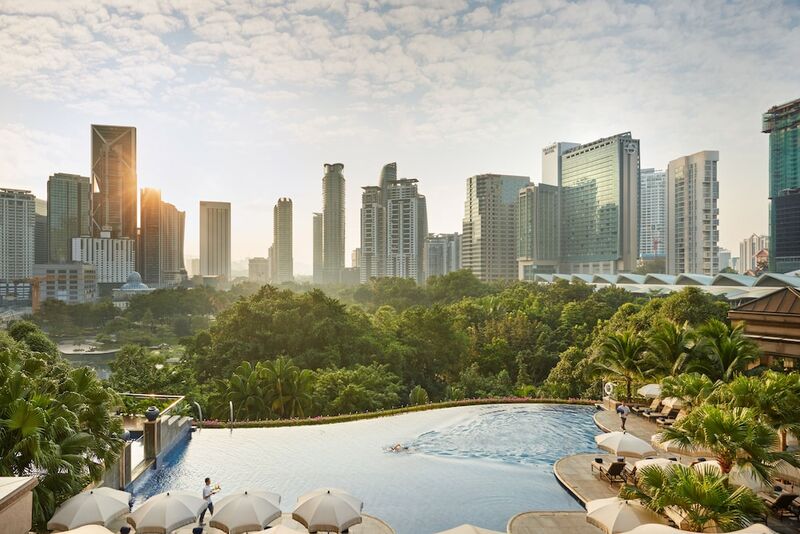 From shopping for designer goods at KL’s swankiest shopping malls to partying the night away at lively pubs and clubs, as well as swanky rooftop bars, your stay in Kuala Lumpur will be anything but dull. After arriving and checking in, start by making your way to the iconic Petaling Street in Chinatown to savour a wide array of local delicacies. Although it’s well-known as a lively market where handicrafts, accessories, and apparel are sold at dirt-cheap prices, there are plenty of hawker stalls selling sumptuous treats such as assam laksa, BBQ pork noodles, steamed buns and smoked pork meat. Your first day in Kuala Lumpur is also best spent by visiting the city’s numerous landmarks such as the Petronas Twin Towers, Menara KL Tower, Sultan Abdul Samad Building, and Independence Square. A must-visit for nature lovers, Lake Gardens in Kuala Lumpur is a 92-ha park that houses a number of attractions such as the Butterfly House and Bird Park, Hibiscus Garden, National Monument, Orchid Garden and Parliament House. As dinnertime approaches, visit Jalan Alor in Bukit Bintang for a tantalising fill of Asian delicacies and street food. Situated within a seven-minute walk from Bukit Bintang monorail station, it is a narrow alleyway filled with rows of air-conditioned Chinese restaurants and countless hawker stalls. Highly recommended are the smoky-flavoured satay, grilled chicken wings, and bak kut teh (meaty pork ribs simmered in herbal broth). On your second day in Kuala Lumpur, visit Batu Caves so that you can admire the colourful Indian temples and architecture without enduring the blistering afternoon heat. Situated about 30 minutes from KL city centre, a towering golden statue of Lord Muruga sits at the base of this massive limestone cave. Visitors are required to climb a steep flight of 272 steps to reach the main temple, called Cathedral Cave. Perfect for a night of unwinding amidst tranquil surroundings and breathtakingly verdant views, Genting Highlands and Colmar Tropicale offer visitors a much-needed respite from KL’s often scorching heat and congested traffic. Accessible within a two-hour drive from the city centre, these cool green hills are filled with family-friendly attractions as well as stylish hotels and resorts that suit every budget level. For your third and final day in Kuala Lumpur, we highly recommend exploring the city’s comprehensive shopping scene. The Bukit Bintang and KLCC areas provide the most variety, with value-for-money shopping malls such as Berjaya Times Square and Sungei Wang coexist harmoniously with swanky upmarket establishments such as Pavilion KL, Suria KLCC and Starhill Gallery. Just a few train stops away from the Bukit Bintang monorail is the iconic Central Market, where you can find plenty of handicraft and souvenir stalls, as well as boutiques selling authentic Malaysian batik prints and local artwork. After the sun sets in Kuala Lumpur, it’s time to unwind with a pint of ice cold beer at the city’s ‘it’ party venue, Changkat Bukit Bintang. Housing plenty of international restobars, trendy nightclubs, sophisticated whisky bars, and lively Irish pubs, this vibrant boulevard hosts plenty of events such as stand-up comedy, gay-friendly parties, foreign film screenings and open mic nights. Some of the most popular establishments in Changkat Bukit Bintang include Pisco Bar, Havana Bar & Grill, and Frangipani.